It’s that time of year again! 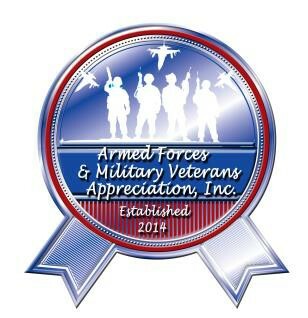 Armed Forces, Military, Veterans and First Responders Appreciation Day!! This year marks our 5th Anniversary; BIGGER! BETTER and MORE FUN!! Event is FREE and open to the public. Lunch provided to armed forces, military, veterans and first responders and their family for FREE. Please join us September 14, 2019 at Craig Ranch Regional Park, 628 W Craig Rd (Craig Rd @ Commerce) from 11am to 5pm, as we honor our valley's Service Members, Veterans and First Responders, celebrating the sacrifices and dedication of the men and women who serve our city and country. There will be food, entertainment, children interactive games, vendors and lots of fun!